We've all had a teacher who was special to us. 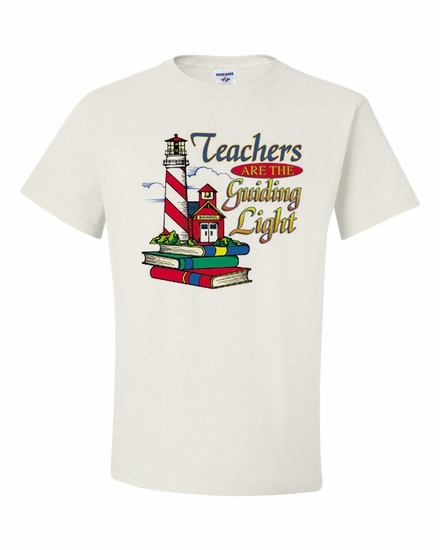 Honor them with a Teachers are the Guiding Light t-shirt or sweatshirt. Choose from many colors, sizes, and styles. Pair it with a Teachers are the Guiding Light coffee mug for a perfect gift. Remember� you found the Teachers are the Guiding Light Shirts at TShirtHub.com, where high quality came at a low price.